Comments : Comments Off on BANG A BOOMERANG! How can we resist you? Fittingly, Abba conquered us most completely while sitting around a campfire, where the likes of Lawson and Banjo long ago found Australians most comfortable absorbing the music and the myths that brought them together. But neither of our national poets could have imagined this: the birth in 1976 of a fresh legend as foreign as could be to the land of the jolly swagman. Like Paterson’s morose sheep thief, Abba’s Fernando was a man once young and full of life, but there the similarities ended. Neither the song nor the singers had any logical claim on Australian hearts. These were Swedes, singing about a Mexican, sitting around a shabby piece of studio fakery purporting to be a campfire – not a jolly jumbuck in sight. But, my, how we loved them. For 14 weeks in early 1976, Fernando drove the nation to distraction as it stayed atop the singles chart for so long that it was banned in Sunday church, otherwise known as Countdown, where high priest Ian ”Molly” Meldrum learned he’d made a big mistake in banishing the fireside film clip. As Meldrum recalls in Bang a Boomerang, a new documentary exploring Australia’s love affair with the Swedish foursome, this was not a relationship to be trifled with. ”After the 10th, 11th week and it was still No.1, I made this rash decision that we can’t play it again … we’ll show it as No.1, but we’ll then show in full our prediction for what we think will be the next No.1,” Meldrum recalls in the program, airing January 30 on the ABC. ”And all hell broke loose. The ABC switchboard was jammed. Meldrum was not the only music industry figure startled by the intensity of Australia’s affection for the Swedes, though by 1976 he’d had a while to get used to it. As Bang a Boomerang tells it, it was Countdown’s hunger for video clips to fill its weekly airtime that played a critical role in Abba’s explosion as a musical force. The documentary aims to put on the historical record once and for all the truth: that while the 1974 Eurovision Song Contest may have been the band’s first big break, the true birth of Abba as global pop conquerors began in Australia. It is a compelling case. As Meldrum says, it was only his badgering of RCA – the group’s local record company – that persuaded them to release the album track Mamma Mia as a single. 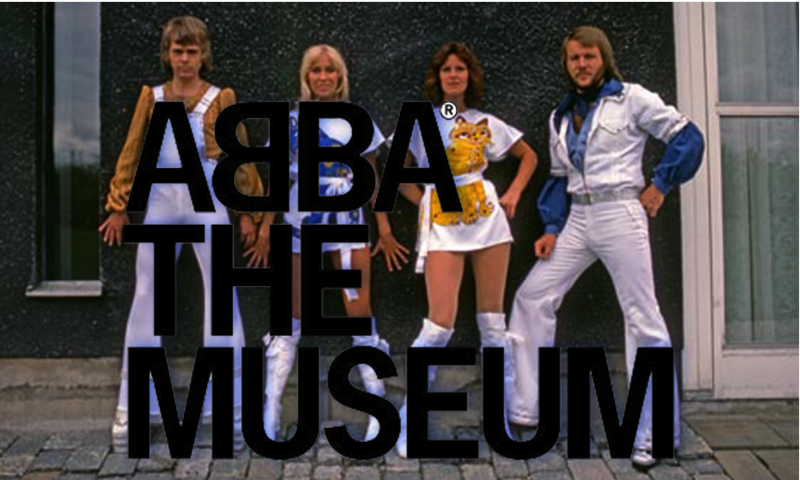 Thanks to its accompanying video clip – which established the trademark Abba visual style – the song went gangbusters. ”They had no option but to release it as a single,” Meldrum says. Meldrum was a key player, but just as instrumental was RCA’s Australian PR rep, Annie Wright. She was in her early 20s then, and was the go-between for the dealings between Countdown and the faraway Swedes. Wright would become an Abba intimate – through 1975, when she delivered the video clips that won over the Countdown crowd; in 1976, when she was side-by-side with the group on a promotional tour; and then in 1977, the year of the band’s astonishing concert tour. The 1976 trip should have been warning of what was to come: a Reg Grundy-funded TV special hosted by Daryl Somers drew higher ratings than the moon landing. But the ’77 tour stunned even industry veterans who thought they’d seen it all, Wright says. Bang a Boomerang sets the record straight on that score, and for those who played a part in that long-ago madness it is a welcome documentation of a time they will never forget. For Annie Wright, who grew so close to the band they invited her to Sweden to holiday on their private island, the memories are many. Among her favourites is the anxiety that preceded the group’s Sydney concert in March 1977, which was threatened by wet and wild weather. But Wright had a direct line to god, or a reasonable facsimile: legendary weatherman Alan Wilkie. ”I was ringing him at Channel Nine every hour,” Wright says. ”I had a hotline – no mobiles in those days, no emails or faxes – I was calling him every day prior to the concert. He was great, and we were living on hope. ”But the show must go on. Paul Dainty had written on the tickets, ‘Come rain or shine’. I bet he regretted that. ”And they went on despite it being dangerous. Frida had a fall, they were mopping down the stage constantly. But the audience didn’t care. There was just this great love and it was mutual. Nearly four decades later, the love affair continues – despite that 1977 tour being the first and last time the group performed here in concert. There was a period of estrangement – the documentary shows just how deathly uncool Abba became for a time – but affections were re-established with fervour many years ago. Wright is delighted the history of Abba has been preserved in documentary form. Comments : Comments Off on How can we resist you? Comments : Comments Off on ᗅᗺᗷᗅ – THE Ticket! Without enamel infill. Individually bagged. Copyright info in raised metal on back of keychain. Comments : Comments Off on ABBA THE OFFICIAL KEYRING! 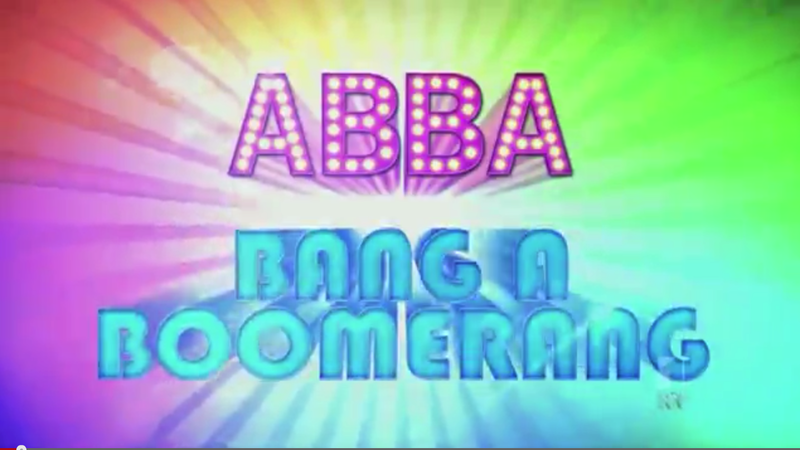 ABBA: Bang a Boomerang tells the inside story of Australia’s colossal 70s crush on the Swedish supergroup ABBA and their music, and how this unequalled and enduring fan-worship changed them and us forever. ABC’s innovative music program Countdown and its host Molly Meldrum were instrumental in bringing ABBA to a burgeoning mid-70s television audience looking for something different. It was due to Countdown that Mamma Mia was released as a single, first in Australia and then the world, and the ABBA phenomenon was born. Viewers were going into record shops wanting to buy the single. Molly rang RCA records asking about the release of Mamma Mia and was told there were no plans to do so. “We then played it again in defiance and they had no option but to release it… it was lucky, it went to number one,” Meldrum said. ABBA: Bang a Boomerang digs deep into heartfelt memories, cardboard cartons of memorabilia, face-to-face encounters, local pop icon recounts, lavish personal and public ABBA museums and Australia’s rich media archives to relive a moment of collective national ‘craziness’, when we did literally go ABBA mad. The result is a warm, bright, captivating engagement with ABBA’s time Down Under that will remind us all of the band’s impact and how our open-hearted embrace of all things ABBA would eventually define us. One in three Australian households owned an ABBA record – from Prime Minister Fraser to eight year olds around the nation, we were hooked even if some of us didn’t want to admit it back then and we didn’t realise the crush would be for keeps. Former ABBA singer, Agnetha Faltskog, is getting Gary Barlow to help relaunch her career, by reportedly recording a duet with her. The blonde Swede is working on her first original material in 25 years and the Take That singer and songwriter has reportedly written two tracks which will appear on her album. One is said to be a duet, which is already being tipped as a hit. Gary, 41, recently said he had met the 62-year-old star when he was in Sweden. It is thought they were introduced by mutual friend, Jorgen Elofsson, a songwriter who has written tracks for Britney Spears, Westlife and Kelly Clarkson and who is also helping Agnetha with her comeback. The ‘SOS’ singer had pursued a solo career for a few years after ABBA split up in 1983 but released hardly anything throughout the 90s. Her last album, ‘My Colouring Book’, saw her sing covers and was released in 2004. While ABBA’s music has become more popular than ever in recent years, the band – which also included Bjorn Ulvaeus, Benny Andersson and Anni-Frid Lyngstad – continue to resist a full scale reunion. Bjorn said earlier this year: ‘We are the only group of that status that has never been reunited. I think that is cool.